We have four great reasons for you to love our free pick-up and delivery service! We know we’re busy. Let us help! 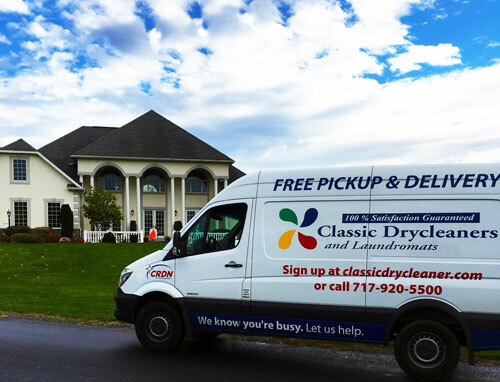 We provide free dry cleaning pick-up and delivery service for select neighborhoods and businesses in the Greater Harrisburg area. Enjoy our twice-a-week service at your home or office. Anything you can bring to a store, we can pick up at your front door! Think of it as our mobile dry cleaning service. Enjoy the same great quality and service that you’ve come to expect from us, but with free dry cleaning delivery, wash and fold delivery service and laundry service delivery. We provide free pick-up and delivery for all of our services – dry cleaning, shirt laundry, bedding, wash and fold laundry, and repairs and alterations. Our delivery drivers are courteous, professional, friendly, and background checked. You can feel confident when choosing us to provide home pick up dry cleaning and home pick up laundry services. We give you two personalized bags. Place your items in your bag and have it by your outside door in the pre-determined, weather-sheltered location no later than 7:30am for pickup. Our twice-a-week service offers a convenient, hassle-free way to use our services. There’s no need to be home. Our driver passes your house twice a week to check for your bag. No bag? No problem! We simply drive to our next customer in your neighborhood. Whether you use our service weekly or monthly, it’s perfect for someone with regular dry cleaning, laundry, or wash and fold needs. We bill your credit card on the 1st and 15th of each month for only the items you have cleaned. There are no fees or additional charges. And, you receive the same everyday 10% discount as if you were visiting one of our locations. Our dedicated Customer Service Representative is available to answer your questions during the week at 717-920-5500 or email. 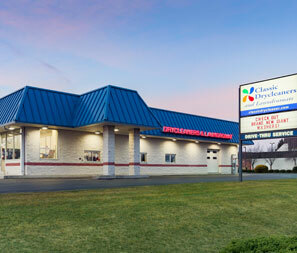 And, our 24/7 call center is available for any after-hour emergencies. Special Care Instructions can be provided with your clothing bags and we will clean your clothing accordingly. View and print our special care instructions here. We encourage high-rise apartment tenants and those needing one-time only service to visit any of our nine great locations throughout the Greater Harrisburg area. Contact us for more information.